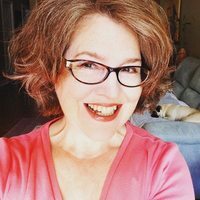 Maggie L. Wood lives in London, Ontario, where she writes in between doing the cooking and cleaning, reading her favorite YA authors, and watching her favorite AMC, HBO, and Netflix shows. Her books, Captured and The Darkening, of The Divided Realms series have had two different publishers and have both been orphaned by their former publishers before the 3rd book in the series (Auralict) could be published. 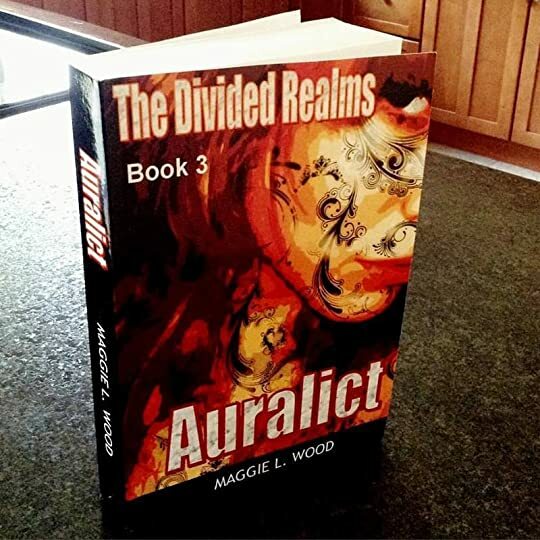 Maggie has decided to publish Auralict and the Divided Realms series herself as e-Books, and as paperbacks through Amazon's CreateSpace Independent Publishing Platform! To ask Maggie L. Wood questions, please sign up. Hello! I saw that the third book of the Divided Realms series has been published on October first was wondering where I could buy a copy of it? I really loved the first two! While today is the eBook launch for Auralict, I also received in the mail today Auralict's print copy! I'm going to be using Amazon's CreateSpace program to make print-on-demand copies for all 3 books in The Divided Realms series. Their print links should be available soon! I will let you know when they are! We’d love your help. Let us know what’s wrong with this preview of A Conspiracy of Kings by Megan Whalen Turner. Maggie Wood voted for The Cruel Prince (The Folk of the Air, #1) as Best Young Adult Fantasy & Science Fiction in the Final Round of the 2018 Goodreads Choice Awards. We’d love your help. Let us know what’s wrong with this preview of Muse of Nightmares by Laini Taylor. We’d love your help. Let us know what’s wrong with this preview of Circe by Madeline Miller. We’d love your help. Let us know what’s wrong with this preview of The King of Attolia by Megan Whalen Turner. We’d love your help. Let us know what’s wrong with this preview of The Queen of Attolia by Megan Whalen Turner. We’d love your help. Let us know what’s wrong with this preview of A Skinful of Shadows by Frances Hardinge. We’d love your help. Let us know what’s wrong with this preview of The Thief by Megan Whalen Turner. All I can say is I loved this book with every fiber of my being. Thank you Madeline Miller for writing it.